This is a delightful modern improv spikey star, which will work well for beginners and accomplished sewers alike. Helen delights in sharing her love of patchwork with a modern twist, and this spikey star is no exception. 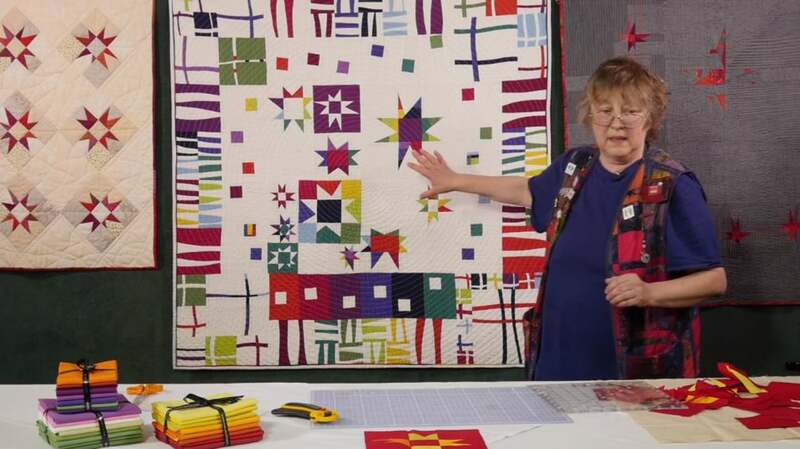 Originally designed for the Quilters Guild, Helen is happy to share the details with us. 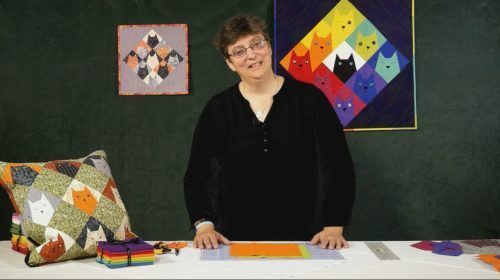 THe block is made simply from 10″ squares – so a layer cake is perfect ; make an assymetrical 9 patch and then add the spikes. 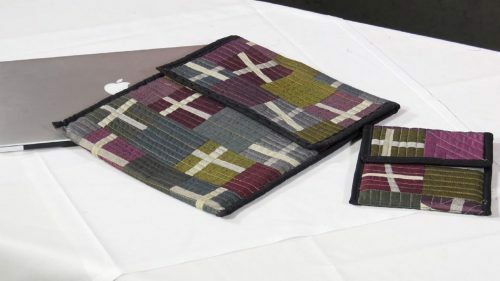 In this workshop Helen has used wonderful Oakshott fabrics, but fabrics with a right and wrong side might be less confusing. 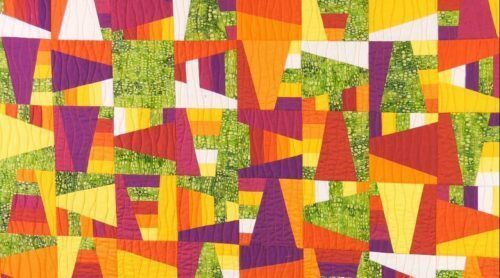 The seam allowance on this improv quilt doesn’t really matter – so great for beginners – and then you get to square-up the block at the end, so perfect for group quilts. Helen is happy for you to have access to the pdf – click here – but if you aren’t a subscribed member, you will miss out on all those helpful tips she shares with us in the workshop. Red Stars for Simeon (Etoiles pour Simeon) is available from Helen as a pattern – click here. Interpolations Three (the grey one) also has a pattern – click here for more information.